Da Capo Lifelong Books, 9780201632705, 192pp. Fears, feeding, and sleep problems, croup and tantrums, stomachaches, asthma: these are some of the problems that every parent worries about at one time or another. 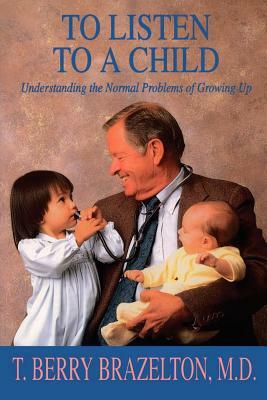 According to Dr. Brazelton, most of these are a normal part of growing up. Only if parents add their own anxieties to the child's natural drive toward master will these "normal problems" become laden with guilt and tension and deepen into chronic issues. If parents can learn to listen, to hear the stress that may lie behind psychosomatic complaints, they can not only remove some of the excess pressures, but also help their children toward self-understanding.